Inside: A spot-on homemade version of the famous Sonic Cherry Limeade. Do you love Sonic’s Cherry Limeade? It’s one of our favourite treats in the summer and I recently wanted to serve it at a family barbecue. Rather than hit the drive-thru, I went the DIY route for this easy Copycat Cherry Limeade recipe to serve a crowd! My family loves Cherry Limeade but we live a considerable distance to our nearest Sonic’s, so rather than make the long drive just for a few cups of this thirst-quenching treat, I’ve taken it upon myself to concoct the perfect homemade cherry limeade to satiate our cravings! 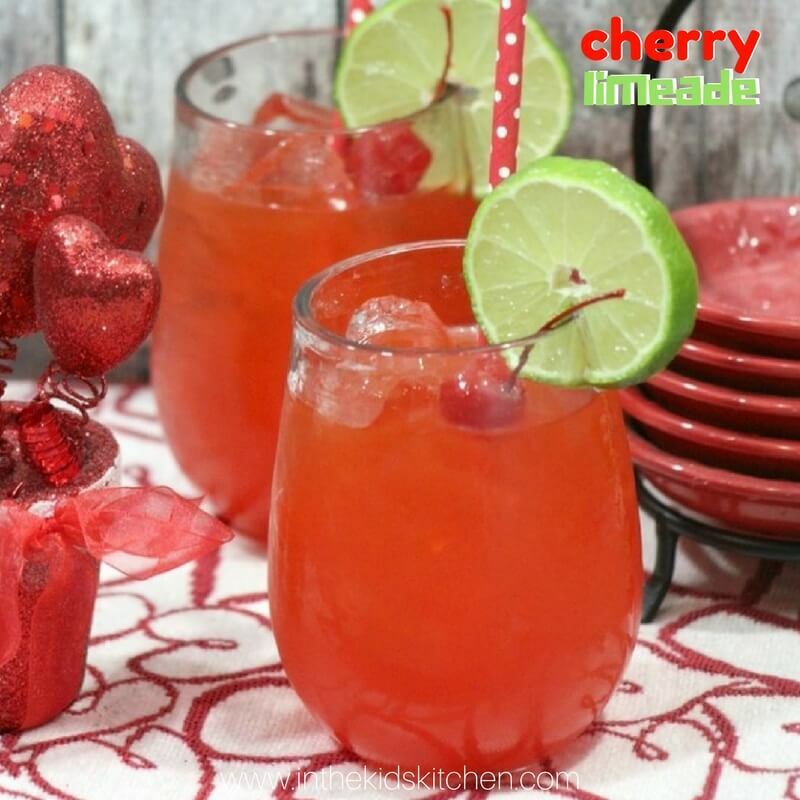 I’ve tried a few other copycat cherry limeade recipes and they all lacked that tart lime flavour that makes the Sonic treat so perfect. Frozen limeade concentrate – as is. In it’s frozen, cylindrical glory straight from the freezer. As in, do not dilute it with water. Just pop the frozen limeade (or let it thaw and pour in the fully concentrated liquid – your call) into your pitcher and add the other ingredients called for in this recipe. You can also substitute grenadine for the cherry syrup called for, but since you’re probably going to want some cherry garnishes for your drinks I figured, might as well just use the syrup straight from the maraschino cherry jar! 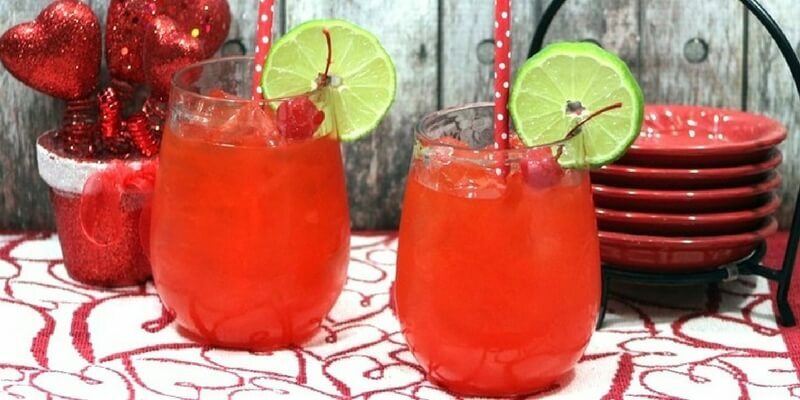 Top with some lemon-lime soda (whatever your favorite brand is) and then serve for a sparkling cherry limeade soda just like Sonic’s Cherry Limeade! 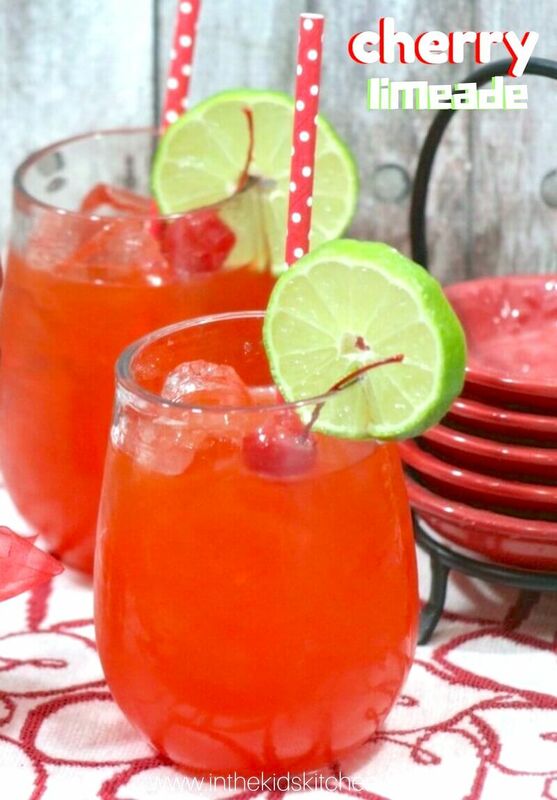 This Sonic Cherry Limeade recipe hits that perfect balance of sweet and tart and has that amazing sweet & sour cherry taste that is just so crazy delicious and sippable! If you’ve never had cherry limeade, it’s quite similar to a strawberry lemonade in terms of that same fruity citrus punch taste, but obvious the cherry and limeade changes the flavor profile. I hope you get a chance to make this delicious limeade recipe for your family or summer party and that everyone loves it! It would also be a special treat for a family movie night along with some homemade popcorn or crunchy honey glazed crockpot chex mix. 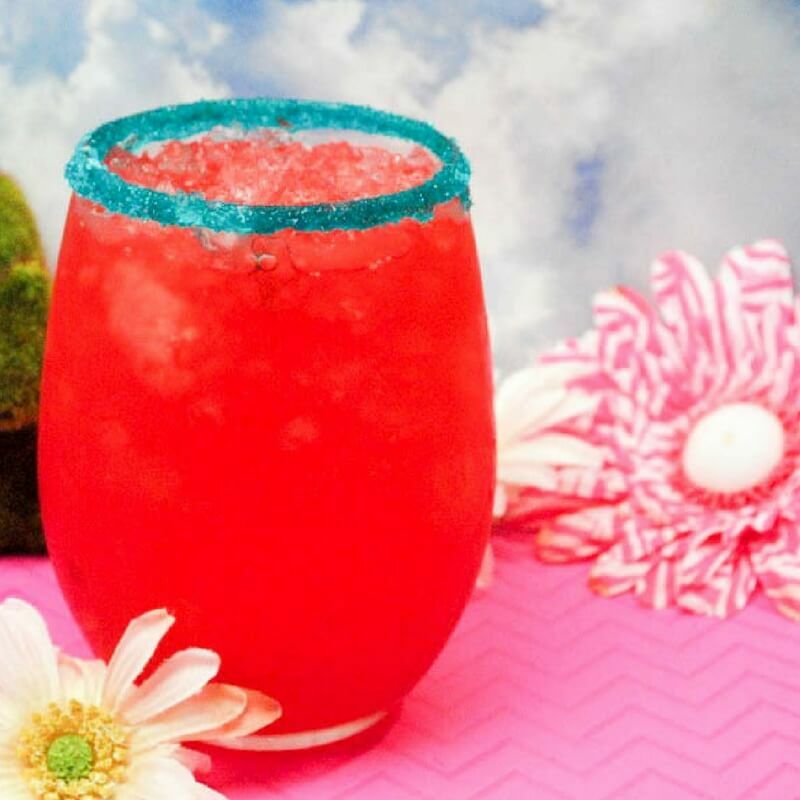 Be sure to check out our recipe video that shows just how easy this Copycat Sonic Cherry Limeade is to make – and then scroll down to grab the free printable recipe. Tip: Make lots of ice for serving this recipe. 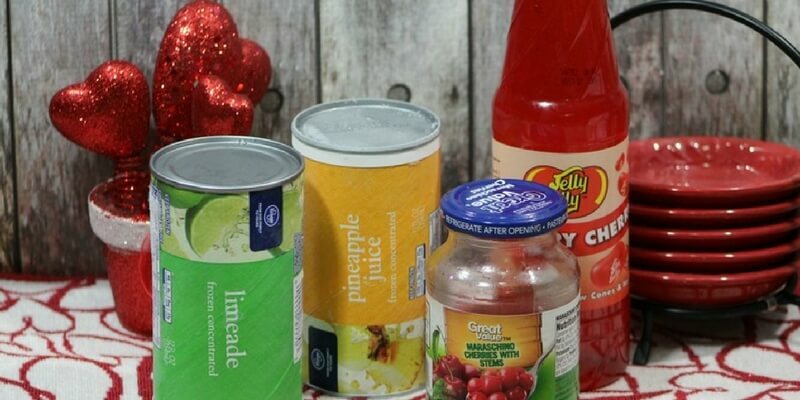 Have extra ingredients on hand in case you want to adjust – more soda or less syrup, etc. Tip #2: remember, if you don’t want to use the cherry syrup that the cherries come in, you can use grenadine or cherry syrup – they are basically the same thing! 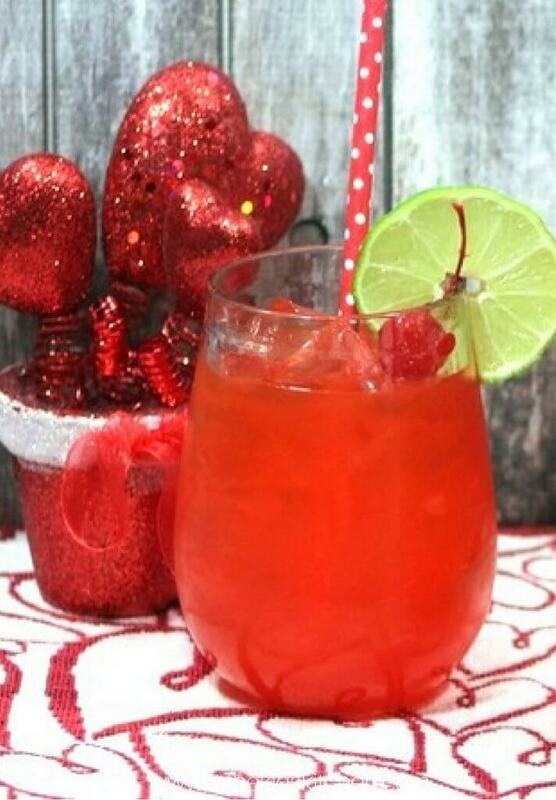 Combine lime juice concentrate, soda, and cherry syrup in a large pitcher and stir together until well mixed. Before serving, fill the pitcher or your serving glasses with ice. Garnish with lime and cherries, as desired. Before serving, fill the pitcher or your serving glasses with ice. Garnish with lime and cherries. Have you ever had Sonic Cherry Limeade? 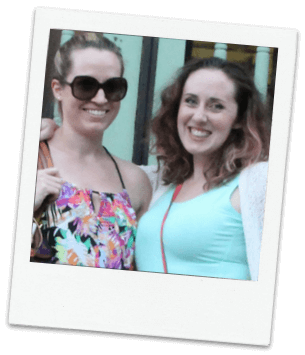 If not, you really need to try this delicious nonalcoholic punch recipe for your next summer party. Which drink recipe would you like us to come up with a copycat recipe for next? 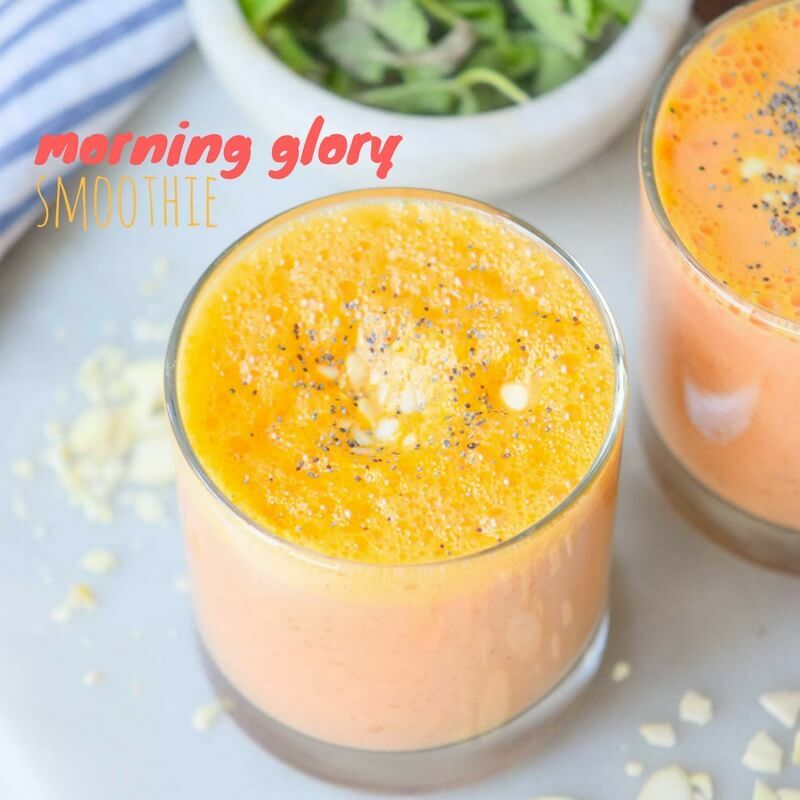 For more delicious summer drink ideas, check out our Moana Hawaiian punch recipe or our Morning Glory smoothie recipe. We used sweetened lime juice from the veggie department and lime of real lime and is very close to the real thing!